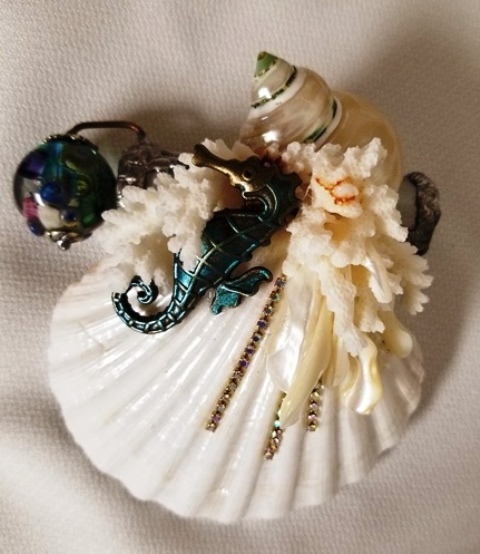 This kaleidoscope by Cathy Painter is made using a real seashell and is decorated with more shells and a seahorse. 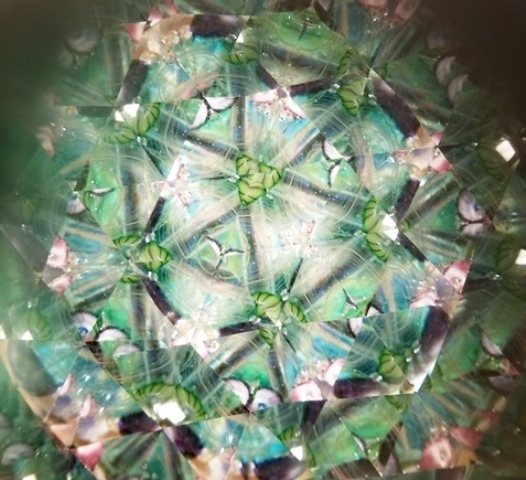 The kaleidoscope is about 5" x 5" . 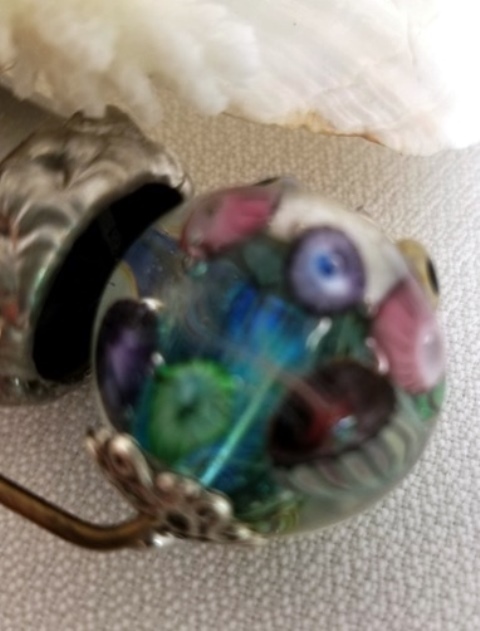 Small liquid filled "aquarium" bead is the object. 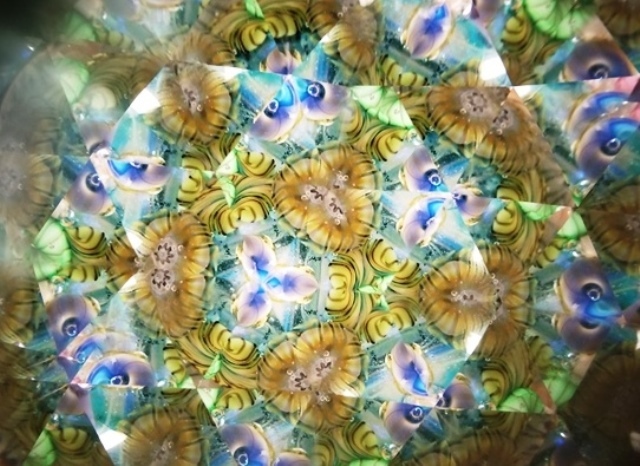 3 mirror equilateral image.